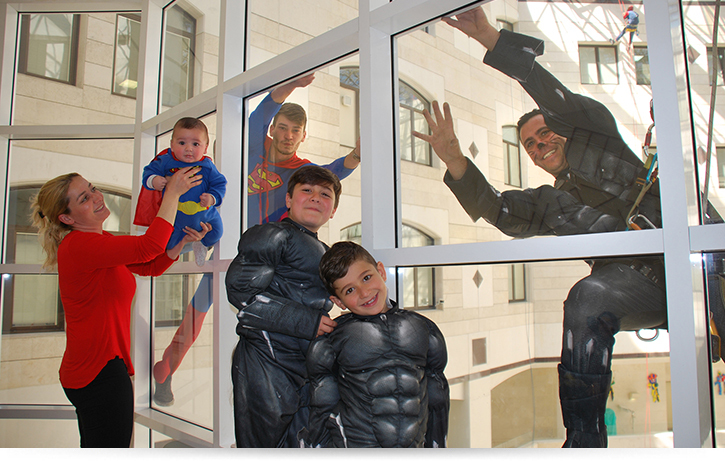 To mark the Festival of Purim, snappling enthusiasts dressed in costumes of superheroes Spiderman, Superwoman and Batman surprised patients hospitalized at Schneider Children’s. The children and their families, who were unable to celebrate the holiday with their friends, were very excited at the unexpected surprise, and enjoyed watching all the antics of the superheroes climbing up ropes in the lobby and departments of the hospital. 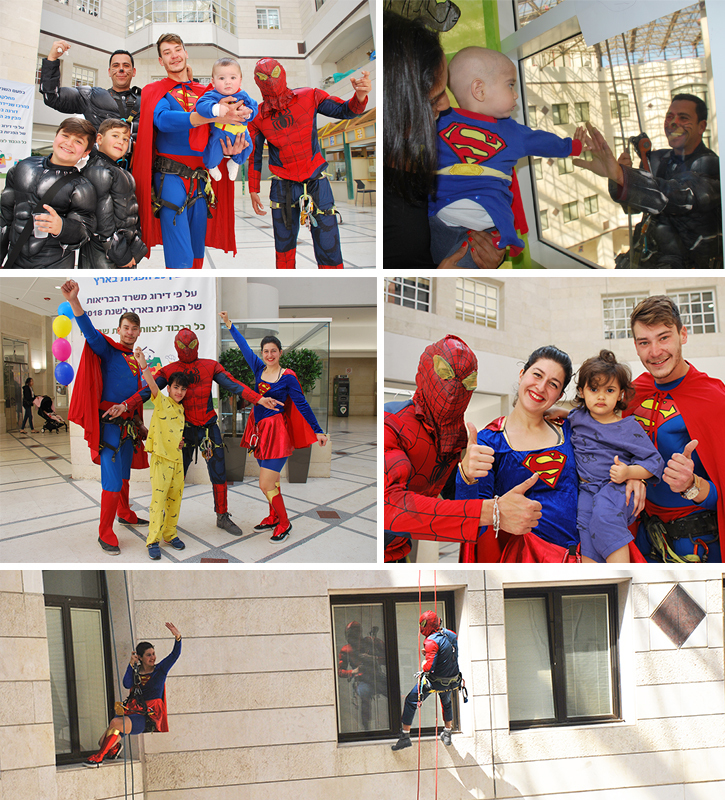 This is the 6th consecutive year that snappling volunteers, Idan ben Harush, Ophir Pasharel, Daniel Shorokov, Tom Peretz, David Pasharel and Niv Kerby, have delighted children in the hospital at Purim.